Quality Air Heating and Air Conditioning > Articles > Heating > Westerville Heating Repair – Review from Teri S.
Westerville Heating Repair – Review from Teri S.
When your heating breaks in the winter, you want to get it fixed fast. Waiting around in the cold for the repairman to show up can really ruin your day. That is why you need to have the name of a contractor that you can trust will put the customer first and provide quick, reliable service. We contacted Quality Air when we discovered our furnace was not working properly. A technician was out within the hour. As it turns out we needed a new pressure switch. They ordered the part and were back out to repair within 2 hours. I felt the pricing was fair and the service outstanding. Heats on! 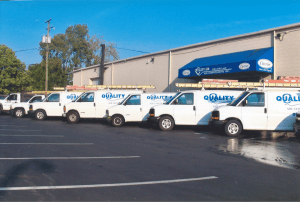 I would recommend Quality Air if you’re in need of service! Thanks Teri! Keep warm this winter, and remember to call us if you need any future maintenance or repair on your furnace!